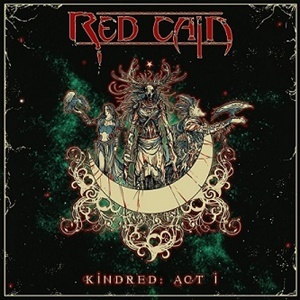 Yearning to establish one’s own presence in a flooded scene, Red Cain have steadily made an impression through their influence blend for progressive metal and alternative/gothic music since their inception in 2016. Their self-titled EP got the ball rolling that same year – and they’ve slowly released singles to whet the aural appetite for the follow-up. Kindred: Act I may seem succinct at seven songs and 39-minutes and change, but when you delve deeper and with intensity and repeated exposure, you’ll understand the multi-level, multi-genre appeal this band possess to help them steer their creative ship into bold horizons. On the surface Red Cain channel elements that are familiar to most ardent followers of acts like Kamelot, Dream Theater, and Evergrey – layers of sonic output through vocals, guitars, keyboards, bass, drums beyond the orchestration and narrative touches. It allows for dramatic tension between words and music that elevates “Zero” to a drama-fueled masterpiece: haunting, mysterious, full of twists and turns as far as the churning guitars against a thoughtful, emotive keyboard break. “Wing of a Crow” receives vocal duet treatment from Kobra Paige, showcasing not only her obvious falsetto abilities but a thoughtful restraint that plays foil to Evgeniy Zayarny’s theatrical channeling- HIM’s Ville Valo and Roy Khan coming together as one in his delivery. Guitarists Noah Bockmuehl and Brendan Doll fill the music often with throwback, circular hooks of the late 80’s and early 90’s – acoustic picking and electric offerings producing rays of variant light on “Blood & Gold” that cascade and shape the atmosphere as if caught in a never-ending dream. When the band want to be forceful and fuse together some cyber/industrial accents for an alternative-oriented effort like “Juliet”, it’s great to hear the wild keyboard tones that percolate against the jagged guitar riffs – the colder rhythm section work embracing the feel of the arrangement. 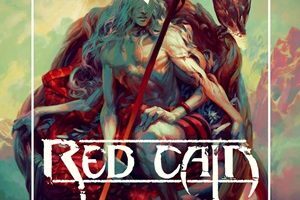 Symphonic progressive metal with alternative and gothic nuances – Red Cain are well on their way to establishing new territory in story telling and musical match-ups. Kindred: Act I represents a fine opening album for these Canadians, and should lend itself well to various multi-media opportunities for live show and film options. The best records connect on a mind, body, and spirit level – and this will be one that should be in the conversation for visionary, forward-thinking effort, proving the ink is not dry on what metal can bring to the table for innovation.